For some of the finest art classes NY has to offer, Fun New York provides you with a resourceful guide to a variety of fun and greatly informative art classes in New York. From oil painting classes to lessons on how to paint watercolors, find all types of painting classes in NY. 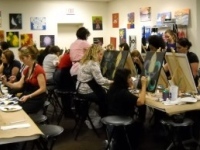 Find out all you need to know about painting lessons in new york.